Green Monkey Publications – Novels, novellas, poems and short stories. Enjoy with us. This is the second poem in the current series of a children’s poem placed in a picture. Teachers and students are free to use the poem if they would like to do so. This is a continuation of a series of children’s poems I started last year. As per usual, the poems are free to use for teachers and students. Merry Christmas to all those celebrating Christmas. May it be a happy and peaceful time for you. If you are not celebrating Christmas, wishing you ‘Happy Holidays’ and a good time to you, too. The flowers are a member of the rain lily family. The photo was taken in the garden at home. We are birds in a tree. One of my greatest concerns is of the need to conserve the environment. Those of you who read Green Monkey Publications posts may have read ‘Popping Off’. If you have not yet done so and you would like to read it, you will find the poem by scrolling down. ‘Miss Whoop Whoop! and the Jumping Pumpkin’ by Craig Carden. Set in two of the most buzzworthy nightclubs ever invented, ‘Miss Whoop Whoop! and the Jumping Pumpkin’ is a wild romp of unusual characters, fun and games, and catch-me-if-you-can theft and deception. As the partying goes on, including dancing, gaming, talent contests and much more, a brilliant mind is at work. Someone extremely clever is outwitting the owners of the Jumping Pumpkin and the Ice Castle. Crime after crime takes place and the identity of the thief becomes an increasingly frustrating mystery. Just who is this most bizarre of thieves and how are they managing to crack the club’s security codes? In reading ‘Miss Whoop Whoop! and the Jumping Pumpkin’ you will find yourself on a mind ride like no other. See where it takes you. It has also been made available through Draft2Digital to ten other publishing platforms. I hope you can join me and Craig Carden in wishing the story of Miss Whoop Whoop! good fortune. The best writers put themselves into their writing. They may learn from other writers, and use what they have learnt, but their best writing comes from within them. This is because they have found and used their own voice. Discovering and using your voice can be difficult but, ultimately, the truer the voice, the better the writing. To those of you who write: the best of writing times to you. Why this particular image? The photo of the sea and sky taken from high above symbolises freedom and openness. In this instance, it is the freedom to create and to be. This applies to people in the other arts, too. In finding and using your own voice, you will be at your creative best. You might find it difficult and, at times you may think it impossible, but if you work at it, the reward could well be yours and that of any one who engages with your work. Andrew Pender-Smith, Craig Carden and Sebastian de Vervet. Yo, I’m still swinging here. So, how goes it wid you? Me, my bro? I’m mighty fine. and I still move dere. Don’ lose de rhythm of creativity. Let your imagination go wild. over a big banana tree. if you let what’s in you grow. 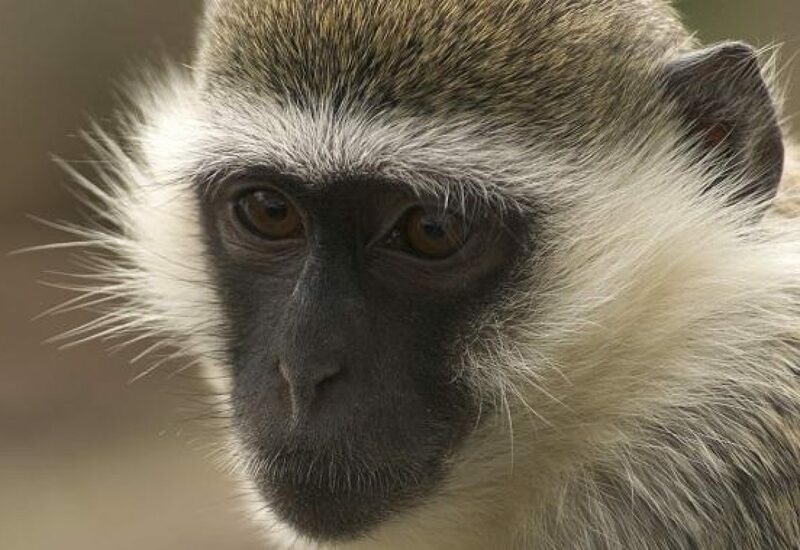 It has been a long time since the inimical Sebastian de Vervet wrote a poem for the Green Monkey Publications website. As so often before, he once again encourages individuals to believe in their own creativity and to do something positive with it. Sebastian chose these images to go with the poem because he loves pink and because he thinks those who created the images have more than a flair for creativity. How is the creative in you progressing? In poetry I have found many teachers. Yes, I have. Over the years I have read a tremendous amount of poetry. These have included poems from centuries ago to poems recently written. One of the reasons why I have gained as a reader, thinker and communicator is because I have not restricted myself . I have spent years enjoying poetry in different genres dealing with a wide variety of subjects. Reading and discussing poetry has helped me to think better and express myself with greater accuracy. How much reading of poetry are you doing? If you haven’t read many poems, I urge you to start now. You will grow. The last time I posted, I talked of gardening being one of my favourite activities when not writing. The photos were of a pink and white amaryllis and an orange one. The white one, pictured above, flowered later. I had five blooms on the end of a rather long stem. Gardening gives me a break from hours of typing to produce a story. It is a great help if I have become too tense about an aspect of my writing and need to stand back for a while. Some of the knowledge I have learnt from gardening, and also as a member of a local horticultural society, has found its way into a few of my stories. To those of you who write: Happy writing.